We have all experienced adversity and struggle in our lives. It's unavoidable. However, what we do when we move past that adversity in our own lives can vary. Do you simply move on? Or, do you try to pave the way for others who might come after you? In this episode, you're going to meet Shala Nicely, a woman who turned an incredibly adverse, difficult struggle into passion that fuels her purposeful work. From the age of 5, Shala struggled with the symptoms of Obsessive-Compulsive Disorder (OCD). Because of these symptoms, her day-to-day life was incredibly scary and difficult, and because of the hold that OCD had over her, she felt like she had to keep it all a secret. That's a big job for a 5-year-old. After suffering for decades, Shala sought out treatment to get her OCD under control. And she didn't stop there. Shala is now an OCD survivor, author, advocate and cognitive behavioral therapist specializing in the treatment of OCD and related disorders in Atlanta. She is author of "Is Fred in the Refrigerator? 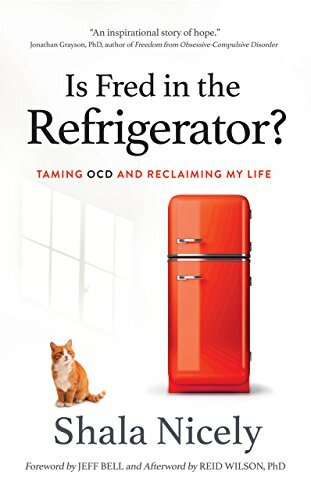 Taming OCD and Reclaiming My Life." She is co-founder with Jeff Bell of BeyondtheDoubt.com, an initiative dedicated to helping people learn to thrive through uncertainty. Shala is an advocate for The Adversity 2 Advocacy Alliance and blogs for Psychology Today, offering an inside perspective on life with OCD. Pave the way for others. One of the most fundamental ways we can help other people is to help smooth out the path for them when we have gone before them. Some of my most difficult journeys have been made a bit easier because a generous person took me by the hand and helped me move down a path they went down in the past. Building your uncertainty muscle. We all have a comfort zone....but we all know that real growth and advancement happens outside of it. One way to help you move outside of your comfort zone is to do it gradually. Build that uncertainty muscle, one "exercise" at a time. Over time, you'll make more progress than you can imagine. Assume positive intent. We've all been hurt by the words of others. People can be insensitive and uninformed, and they can say things that truly hurt our feelings, without even realizing it. One way to help yourself minimize the hurt that you might feel, and as an added bonus, preserve or even strengthen the relationship you have with that person, is to assume positive intent. Assume they didn't intentionally try to hurt you. That 1 small assumption can help open your mind to understanding their perspective and having a better conversation about whatever the topic may be. Get help. If you even suspect that you might be in a situation that could benefit from therapy, please go. Call today. It might seem like an indulgence, but it really isn't. It might seem like something to be ashamed of, but it really isn't. Taking care of your mind is arguably more important than taking care of your physical body. Your clarity, focus, emotional regulation, motivation, drive, calmness, and so much more come from your mind. Be good to it. Get help if you even suspect you might need it.